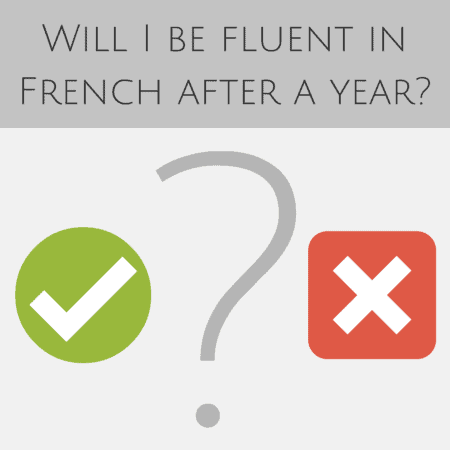 Will you be fluent in French after living in France for a year? There’s a misconception that people have about becoming fluent in a language. That somehow, the magic language fairy bops you on the head after living in a country for a year and makes you fluent. Like a language will just “click” after a certain amount of time because you’re simply living in a place. If that were the case, then every foreigner everywhere would speak the native language of the country they’re living in fluently. But that’s not the case at all. 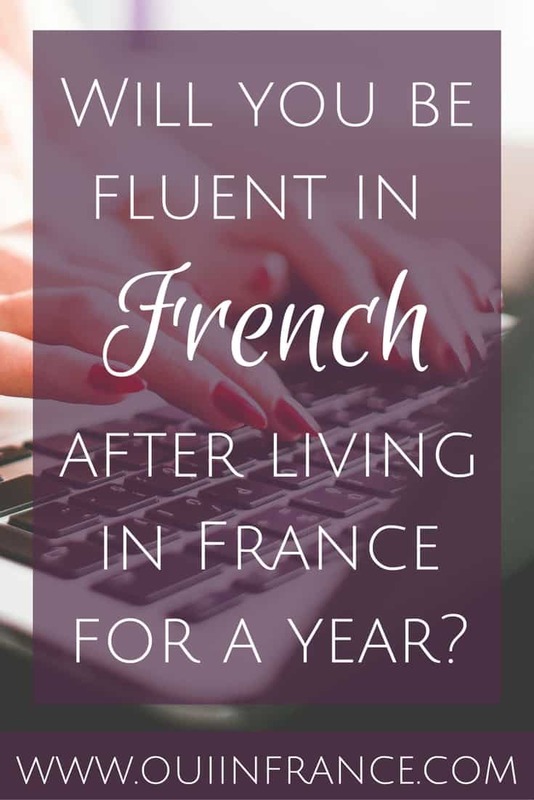 So will you be fluent in French after living in France for a year? 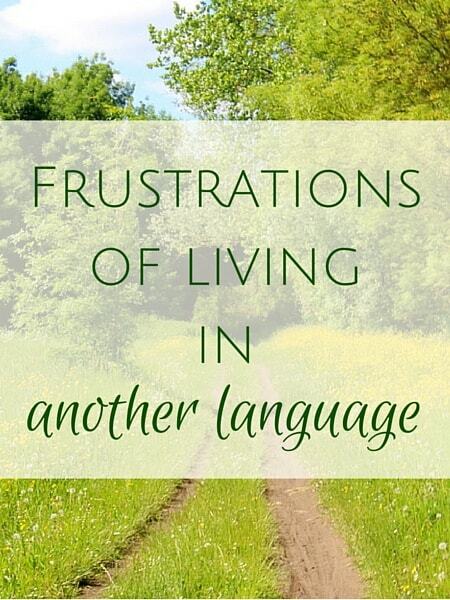 Living in a new country doesn’t guarantee that you’ll be fluent in the native language after a year. There are so many more variables that go into learning a language. And beyond that, what do you consider fluent? Is speaking the language with ease important to you? Is it a necessity? Back to my original question: Will you be fluent in a new language after living in the country for a year? The short answer is maybe. First, let’s figure out what being fluent in a language is. Keep in mind that being fluent differs from being bilingual. Everyone’s definition varies but to me, fluency means you’re able to communicate rather naturally and can ask questions and understand replies in just about every situation. There’s no need for you to translate in your head and you can speak in that language without thinking about it (too much). 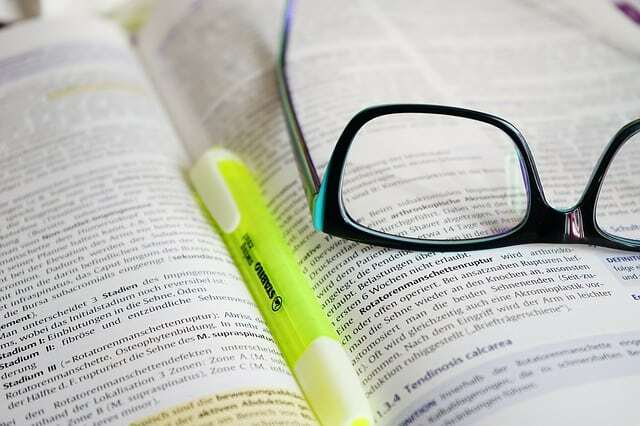 If you’re into dictionary definitions, Merriam-Webster tells us quite vaguely that fluency is when you’re “able to speak a language easily and very well.” Subjective, right? Let’s move on. Speaking the language perfectly without any mistakes. Never having to search for words. Speaking without any type of accent. Understanding every single word all the time. Sounding like a perfectly natural, native speaker. What level are you at now in that language? Are you starting from having no working knowledge of the language, or are you already conversational? Are you going to be attending school or working in the new language, or will you be surrounded by English? Do you already speak another language? Do you need to speak French to get by? How old are you? If you’re under 18, you have a great chance of really improving your foreign language skills and losing your accent. A bit older than that? It’s not impossible but you may have a harder time than someone who’s younger. Or maybe you won’t. Everyone is different. How much do you care/how motivated are you? This one is huge and can make all the difference. If you plan on being in France for the long term, learning the language is a necessity in my opinion. That goes double if you live in a small town that’s relatively isolated. This goes triple if you’re moving alone or your partner does not speak the new language either. About that last bullet point up there about how motivated you are… let’s take my French husband Tom for example. He speaks English fluently (bordering on bilingual at this point). His English is much better than my French and yet he’s never lived in an English-speaking country or even been in one for more than 2 weeks at a time on vacation. He rarely makes mistakes and if he does, they’re tiny pronunciation or usage errors that don’t interfere with the meaning of what he’s saying. His English grammar is excellent, he doesn’t mess up tenses and he even understands complicated dialogue in English language TV shows. He’s also very modest about his level of English and will tell you he’s not fluent. You’re thinking, “Well of course he’s great at English, Diane. He’s one of those Europeans who started learning young, right?” Wrong. Was his level of English great when I met him in 2009? Nope. He was not one of those people who started learning English in grade school and had an excellent level by graduation time (the French aren’t known for their impeccable English in case you’re wondering). At that time, Tom’s English was passable but he was slow, made a ton of mistakes and I often had to repeat myself. But he was tenacious and knew the secret to language learning success. He’s now able to be part of my American social circle when we’re home and I’m so thankful he’s gotten to know my friends and family. His level of English has made this possible (because my friends and family don’t speak French!). So what happened between 2009 when I met him and now that has drastically improved his level of English? A few things. He met me, has the opportunity to speak English often and his personal drive to learn English was off the charts. Because of that, his level improved rapidly. In his spare time, he’d watch movies and TV shows (at first listening in English with subtitles in English and then slowly backing off the subtitles). He’d read books in English. He’d ask questions. And still does all of these things. 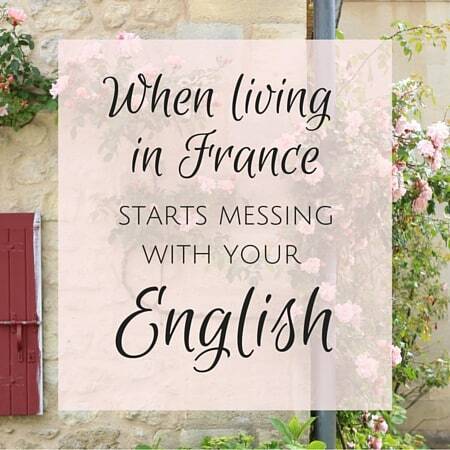 We live in France — Tom doesn’t have to have any level of English for his daily life or job. His English was “fine” before. But for him, his English wasn’t cutting it and he worked like crazy to improve himself. I’m SO proud of him. So no matter your age or current level in a foreign language, you can become fluent. Will it happen in a year? Who knows… but you can start today. Tell me, how has learning a foreign language been for you? I thought I would improve much more but It’s like I’ve reached my top in English. Hi there! I didn’t focus much on accents in this post because I think you can be 100% fluent in a language and still keep a strong accent. My boy George Eddy (watching Pro A basketball on TV and I love when he’s the commentator) has a HUGE accent but he speaks 100% correctly. And you can also have a huge accent and make tons of mistakes and still have a lot of trouble. It’s not easy at all! I love how kids can pick up languages much easier than those of us with our old brains lol. Like Megan who commented before you, I think reaching a plateau in a language is a very real thing — where you reach a certain point and the improvements just stop. I think we can both get there, though, with some dedication and perseverance. From what I can tell, you do very well in English! Have a great weekend! I’m kind of your mirror image: French girl married to a British guy living in the UK. for 7 years and assumed I was pretty good. How wrong was I! I relied on a French friend to take part in conversations and was told I spoke like “a bulldog chewing a wasp”!! But I loved the country and was determined to stay. Working, meeting people from various countries and counties (British accents vary wildly), using various media helped me build up my confidence and I would say that, yes, it took me about a year to feel really comfortable. and I suspects he lacks confidence, especially in front of the children. I just wish that like Tom he would have tried a bit harder :-(! As for the accent, perhaps it is to do with the intonation, but it seems impossible to get completely rid off (and I’ve been here 20 years)! Thanks for your hard work with the blog: it raises some interesting questions! Hi Karine, thanks for commenting and happy to have you here! It’s crazy how different the language we learn in school is from real-life usage once you move abroad, right? I knew French and could read OK but I could barely understand people who were speaking to me! It’s really a wakeup call. And that is HORRIBLE someone said you speak like a bulldog chewing a wasp. I would have cried. Who said that? Hopefully someone you know well who said it as a joke. Even so, I still would have cried. I think your husband’s predicament is pretty common. 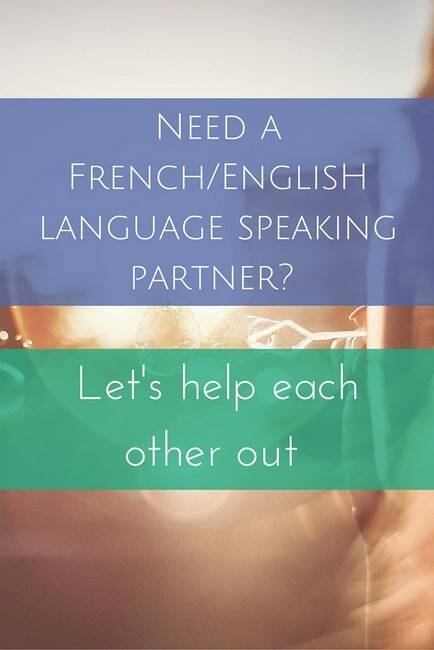 He doesn’t need French to get by and he has you for when he does need it. I think there’s still hope for him though. Have a “jour de francais” on Sunday and force him to try. Pretend to NOT speak any English! Tom used to do that to me and it really helped my French. I know how hard it is to make mistakes in front of kids. You feel even more stupid when five-year-olds laugh at you (i taught English to kids outside Paris a few years ago). Accents are cool though — as long as you’re understood. Again, so happy you enjoy the blog! Bon week-end ! A “Jour de francais” is a great idea. Thanks! It’ll be good for everybody – including me! I’ve reached the next stage now where sometimes my mind goes blank looking for French words that I don’t use often or have sprung up since I left the country (I’m thinking of words to do with the internet or computing). As for the bulldog comment, it was said to my husband as an aside but he didn’t dare repeating it to me until days later: it came from his landlord (who was a bit of an idiot), and he was probably afraid of my reaction! Bon weekend to you too! Thank God, a sensible post on this topic at last! I’m a Frenchie who has been living in London for a year and a half. Relatives back home are always telling me: “Donc maintenant tu es parfaitement bilingue, c’est cool!”. When I tell them it doesn’t work that way, they’re more often than not a bit disappointed. Yeah, I feel like people who haven’t tried to live somewhere else and learn a language just don’t get it. To them, it seems logical that if you live somewhere and interact that you’ll just magically become fluent. It’s crazy how NOT true that is. And then when I explain this to people I get mad at myself for not being magically bilingual like people assume, like I’ve failed. So it’s not a fun conversation to have. Thanks for taking the time to comment! How do you like London overall? it also depend on what you call “bilingual”. after a year in California (minus a few days 😉 ), I’m pretty sure I’m fluent, and I have a better accent: I’m not struggling anymore on saying the correct “th” (no more “I sink zat it’s a good idea”! ), I sometimes hear myself say “I’m gonna do that” instead of thinking “I’m going to… I should say gonna instead”. Most of the time, I don’t have to think about what people say around me. – some days, I don’t know why, I’m suddenly struggling for no reason. Maybe that’s the plateau someone mentioned earlier: after years I still find it hard to pick up lyrics and I too struggle suddenly some days to string 2 words together (being tired or stressed doesn’t help). But hey I think we should all give ourselves a pat on the back to have reached that far :-)!! Hi Dianne! When I arrived in the USA five years ago, I did not speak English at all. I spoke Spanish just because it is my second language. I just had the basic English that I had learned in school, I had studied it 30 years ago. My husband, who is American, does not speak french at all, not even Spanish. My conversations with him were rather very limited. Fortunately I could speak (to socialize me) with Mexican! This required me to take over English courses very quickly. So I had a tutor who re-teach me to speak, and write proper English, before I can enroll in university to get a job here in the united states. So today I can not say I speak English fluently. This would be a huge lie if I said I speak English as well as I speak French or even Spanish. Also, my pronunciation is … how to say? Rock and roll !!! hahaha. But hey, I can follow a conversation (90%) and can follow my paralegal course! I can even understand as my husband! Yeahhh !!! Speaking of my husband, he still has not made the slightest effort to learn french! Love this, Christine. You’re a perfect example of someone who has worked hard and learned the language out of necessity! I’m sure you’re better than you think! So congrats on being persistent. I think you should start doing one “jour de francais” per week with your husband where you refuse to speak English. He’ll be forced to learn French. But that’s only if he has an interest in learning your language. If not, that may just make him mad. Have a great week! Great article. It took me a while to understand French, and personally I would’t classify myself as fluent although i can read and speak French. I think it is just because I still have to think before I speak instead of it coming naturally. Yes, I understand. It’s an evolving process and some days are better than others. And for me, I just understand certain people better. Two people could say the same thing and I’ll get it much faster if it’s from someone who articulates their words. But keep at it. Glad you enjoyed the post! What a fantastic post. I’m living in Italy and teaching English. It’s amazing how many people think “Oh I have to live in the UK or US to really learn/speak English”. Thanks for pointing out the reality of this. P.S. I also learned Italian a little faster living here, but then we I sat down with a teacher she corrected all of the mistakes average native speakers had taught me. Thanks so much, Maura! I know everyone’s experience is going to be different, but so much depends on one’s motivation. I believe that’s the case with pretty much anything; not just language learning. We make excuses for ourselves sometimes (guilty here!) but when it comes down to it, consistent, hard work pays off. I agree that motivation is the biggest factor, I really want my French to be better than it is and regularly feel embarrassed by my mistakes. I’ve been living in France for 11 months but because I live in a remote and isolated spot, I don’t speak or hear French every day unless I make a point of listening to something in French on the internet, be that news or entertainment. I’m fairly busy with my work but just listening to the radio when I can, gives me a bit of immersion. 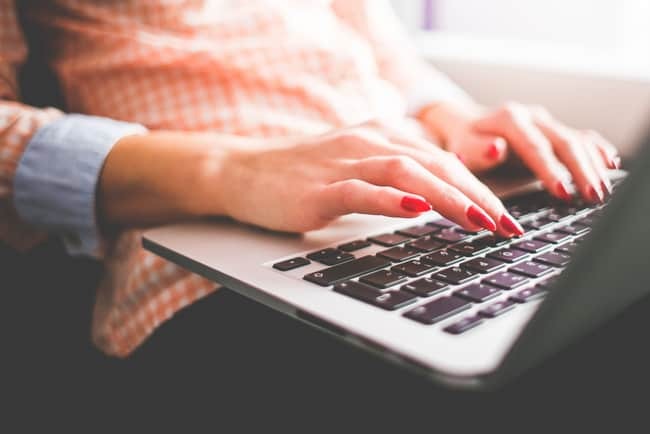 I have an online teacher through a website (can I post the name? verbal planet), I’m single so recently got myself on a dating app and am currently in conversation with a Frenchman, I don’t know if it will lead to anything serious but it is improving my French AND he corrects me! I can get by in situations such as shopping, formalities such as taking out car insurance (proud moment!) and speaking to the guests who stay here. I cherish the little positives such as when someone tells me that they can understand me well or when the insurance agent told me that I speak very well for the amount of time I have been here (I had already signed so he didn’t need to flatter me!). In the first year in a new life, one is going to be busy. 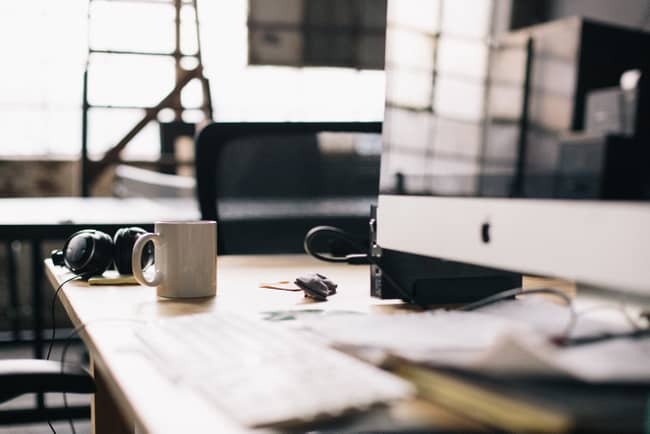 If you’re setting up a business, that will take a lot of your time. All the formalities and paperwork you have to do when you move to France takes a lot of time. But it is great practise. I am not going to be anywhere near what I consider to be fluent by next month, but the French are very generous and encouraging when you are learning so I think it is important to accept one’s own pace of learning. What I’m trying to say is that striving for improvement rather than perfection is my way of not putting myself under unnecessary stress about my language skills.